SUNFLOWERS. THEY’RE BRIGHT, beautiful and love the warmth of the sun, which they in turn give to us in glorious shades of yellow. 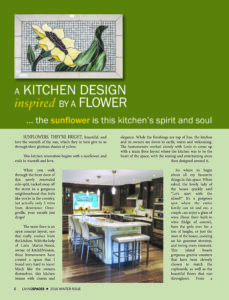 This kitchen renovation begins with a sunflower, and ends in warmth and love.